Your library and its contents are automatically saved as you edit them. You can Save As to save a copy of a library in a new location. See also the box "Moving Your Library" for moving an existing library. You can copy or drag and drop your files to new locations to move a library. Move both the file and the folder at the same time! Use the compressed backup method to move your library. Follow the instructions in the Backing up Your Library box and then move the resulting compressed file. To Open the backed up library, open the EndNote program, click the File menu, click on Open Library and choose the compressed back up in the new location. 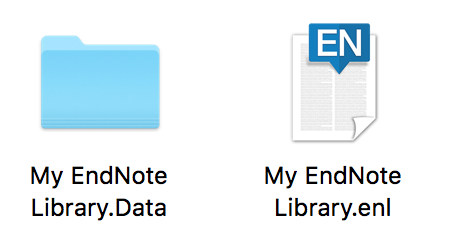 For instance a copy of "My EndNote Library.enl" will be repaired and saved as "My EndNote Library - Saved.enl"
Second Method - Still DON'T WORRY! Third method - Contact the Experts! Call, e-mail, or chat with EndNote support personnel - they have lots of other things for you to try.